Equipping these young men and women with financial know-how is of extreme importance, as Bronx Market President John Habermann recognizes: “Given recent economic pressures, financial literacy is more important than ever. Through innovative financial programs and partnerships like this, our goal is to help give students a solid foundation of money management knowledge and skills so that they can make wise financial choices in the future." 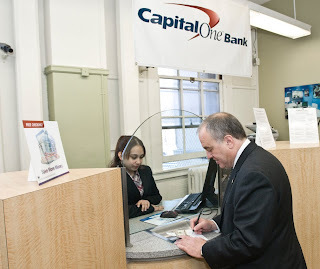 DiNapoli has also announced an addition to his Your Money New York website. 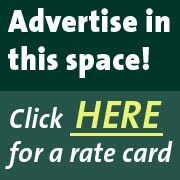 Resources for students and their families have been made available, as well as reliable information and interactive games to increase financial awareness. 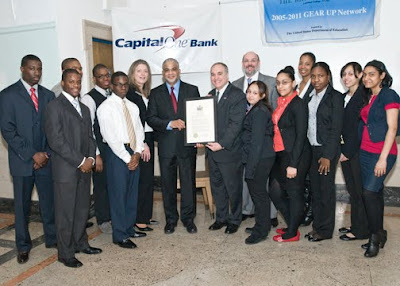 New York State Comptroller Thomas DiNapoli presenting the award to Capital One Student Bankers. From left to right: Nicholas Parris, 17, Derek Richardson (behind), 17, Stanniel Irish, 18, Jonathan Guerrero (behind), 17, Branch Manager Violeta Shala-Guerrero, Principal Bost, Comptroller DiNapoli, David Isaac (behind), Jasmine Soto (also in photo at top), 17, Ana Bautista, 18, LaKia Williams (behind), Ninfa DeSuza, 18, Jennifer Cuffari, 17 and Natalia Moya, 18.